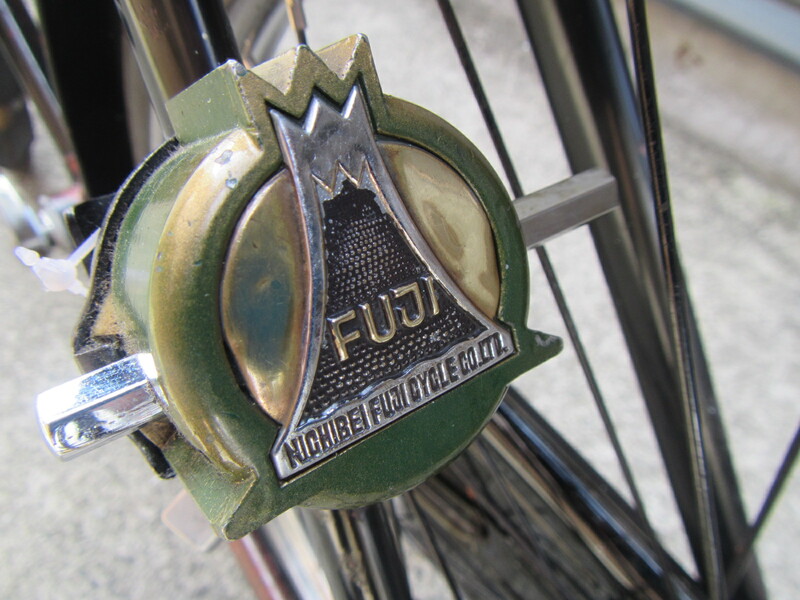 In the previous post Mountain Day & Nichibei Fuji (Part 1) we noted that Nichbei Fuji used Mt Fuji as its trademark; the company was known to go to great lengths to design-in their trademark into parts (see also Fuji Feather Series 1, 2, 3, 4) the most common example being the infamous Nichibei Fuji fender ornament. 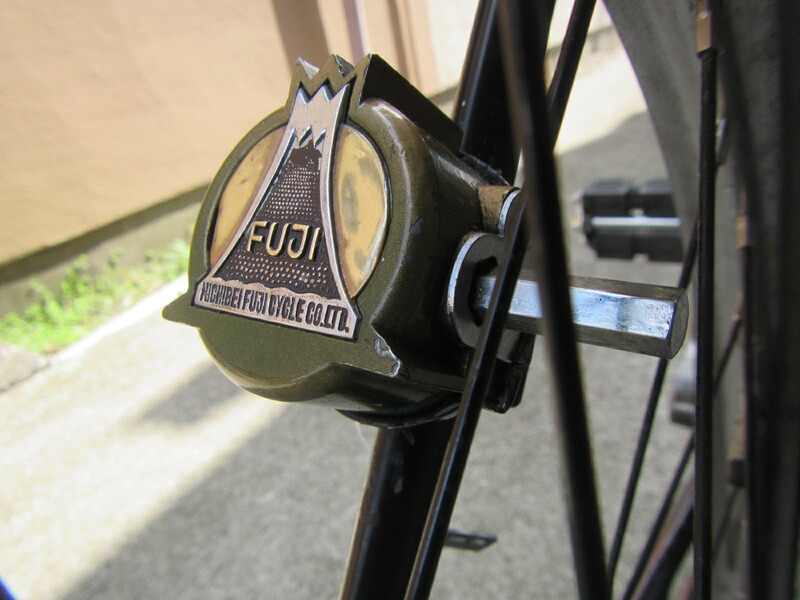 In this post we will look at yet another very unique part that Nichibei Fuji designed-in their trademark, the Nichibei Fuji lock. 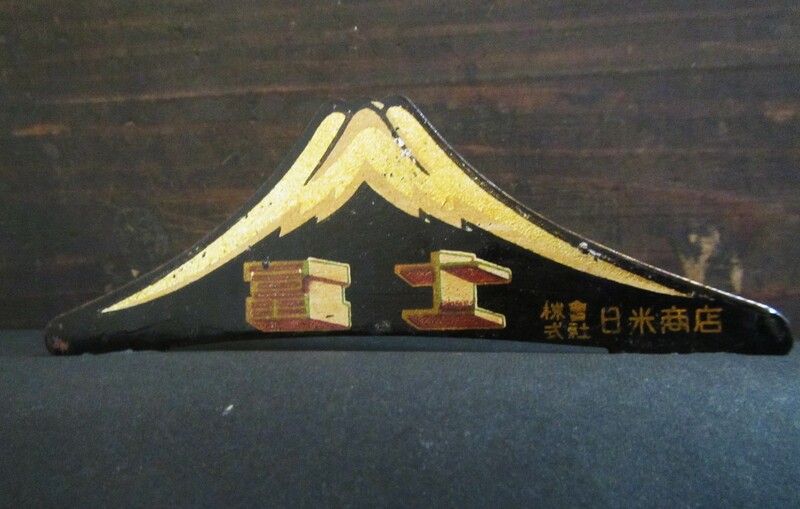 Note how the casing is casted in the form of the Nichibei Fuji trademark, emphasizing the sharp mountain peaks, round rising sun behind the mountain and the mountain base. 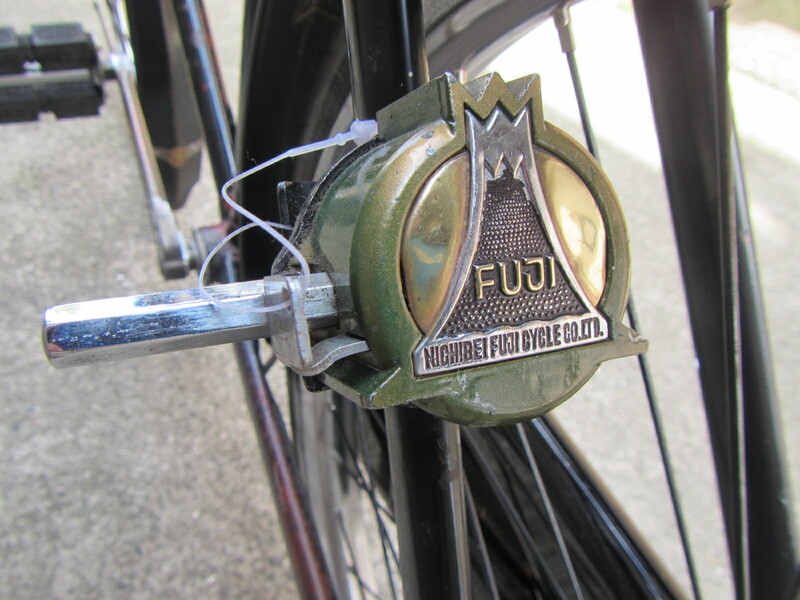 This particular lock was on the Special Delux Model and is courtesy of Choju Jitensha Shokai (Japanese only). The bar is hexagonal shaped and definitely adds a touch of class. 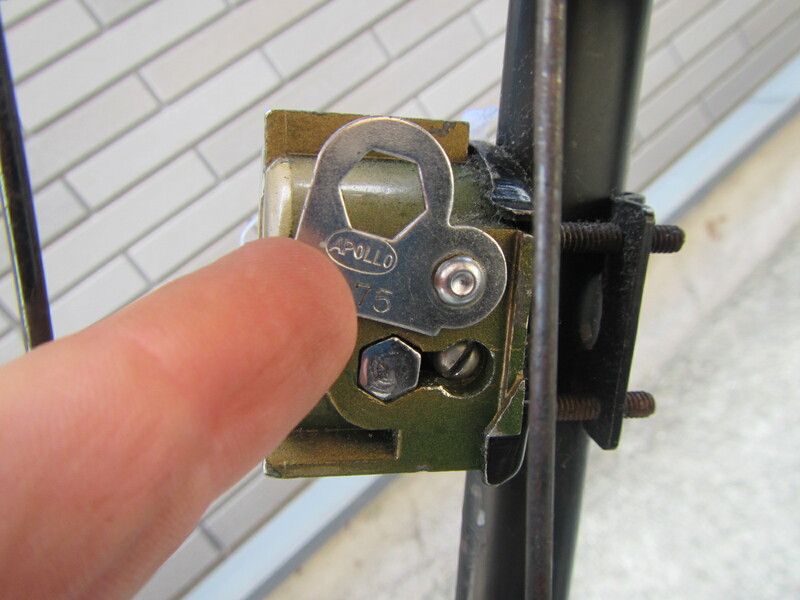 Photo of the lock in the unlocked "riding" position. 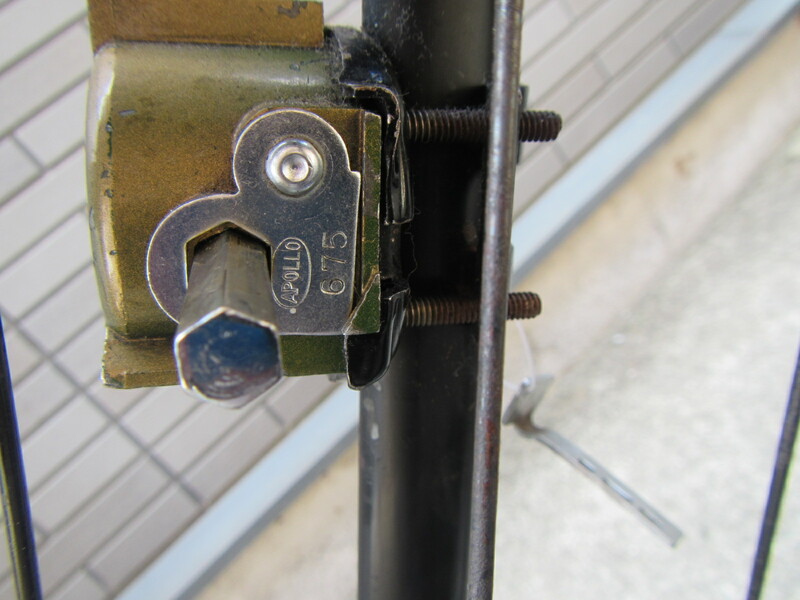 Photo of the lock in the locked "parking" position with the bar extended into the spokes. Fancy modern-day key not something one would expect to see on a lock that is over half a century old. 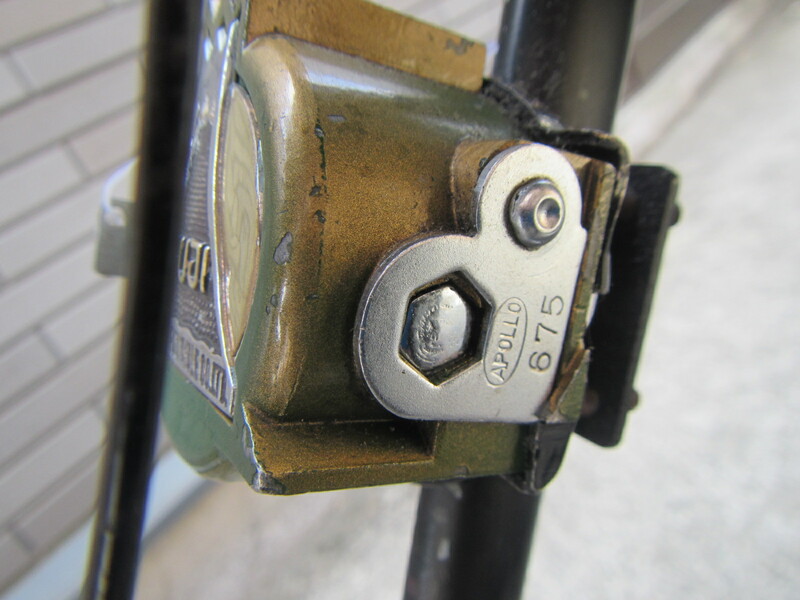 The unique design employs an anti-theft mechanism to prevent the lock itself from being stolen. 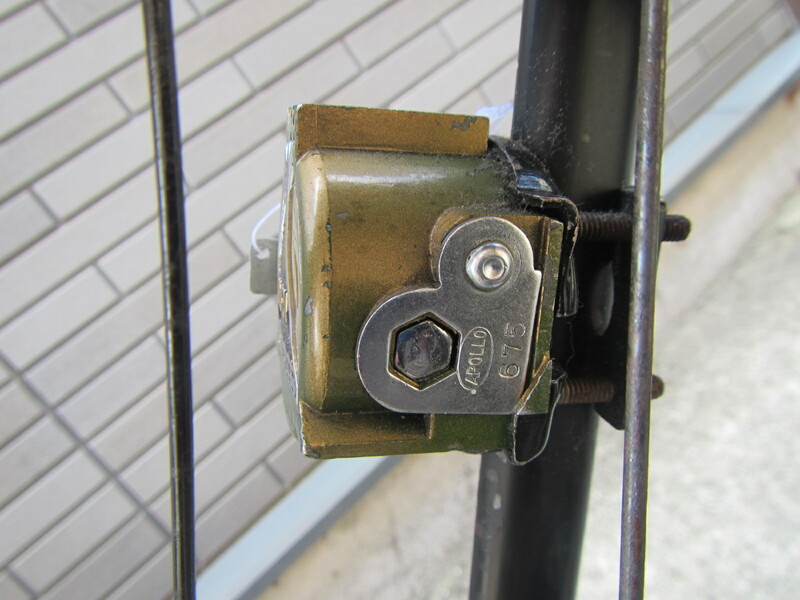 Here is the lock in the unlocked "riding" position with the bar retracted. 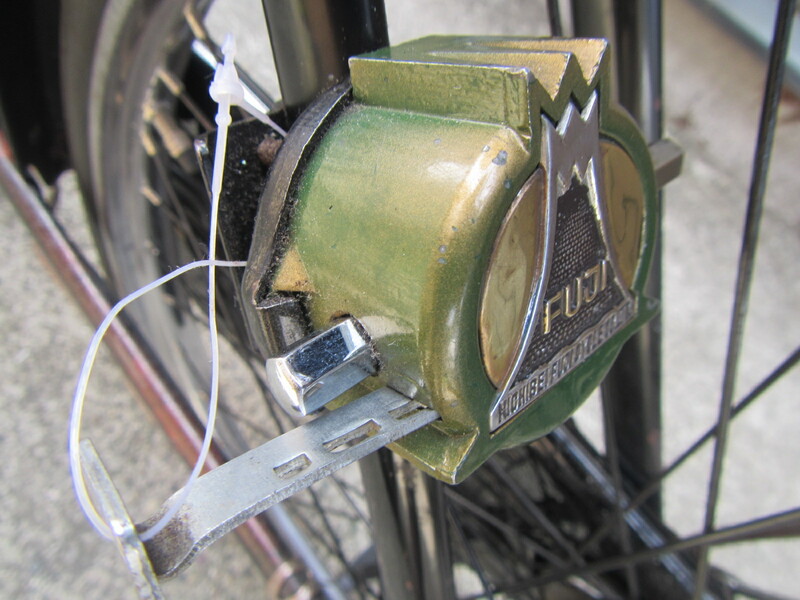 Note the silver plate with hexagonal hole which allows the bar to pass through it. 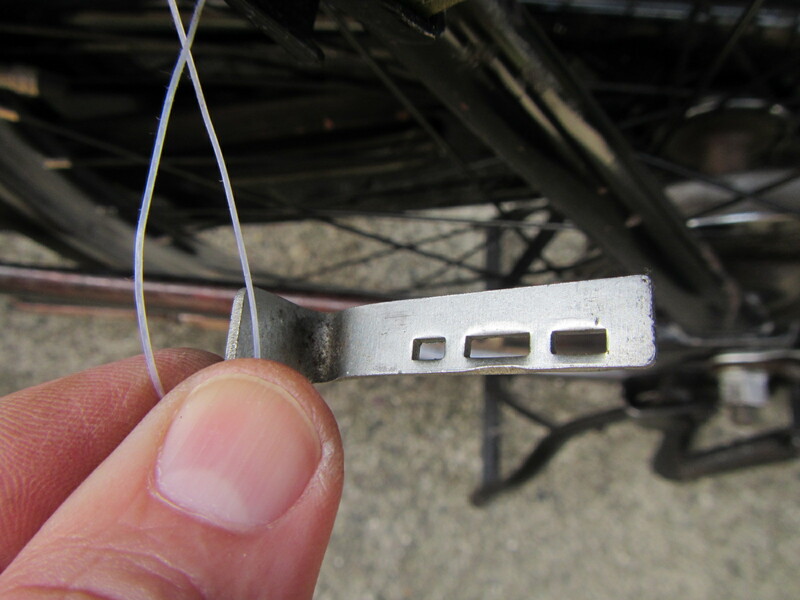 The silver plate is sprung and can be moved upward only when the bar is retracted and in the unlocked or "riding" position to reveal the screw which enables the case cover to be removed. 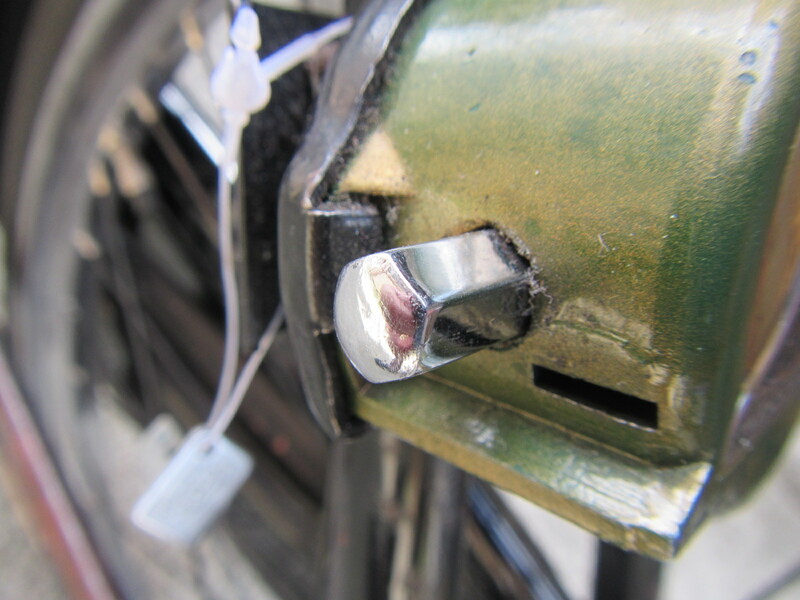 When in the locked "parking" position the bar passes through the silver plate and is extended into the spokes and the silver plate cannot be moved; thereby serving as an anti-theft device. 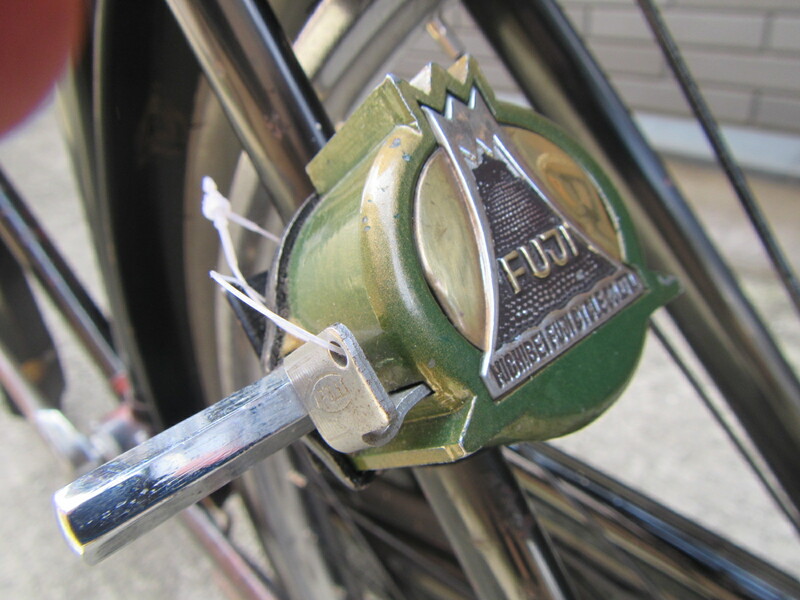 The Nichibei Fuji lock with its case casted in the form of the Nichibei Fuji trademark, and its modern-day key, hexagonal bar and anti-theft mechanism make it both aesthetically and functionally a work of art. 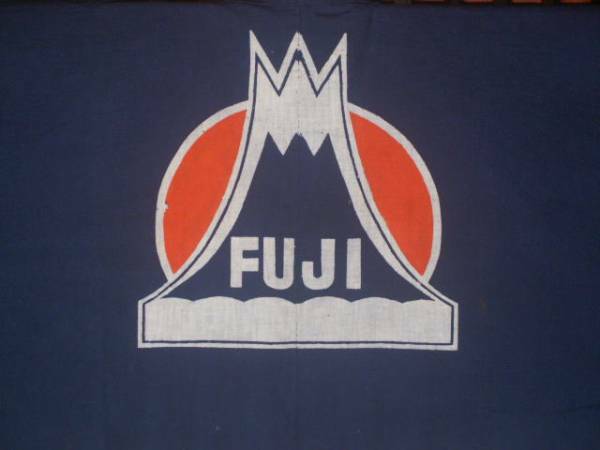 In the next part of this series we will examine one more unique part that Nichibe Fuji designed-in their logo.